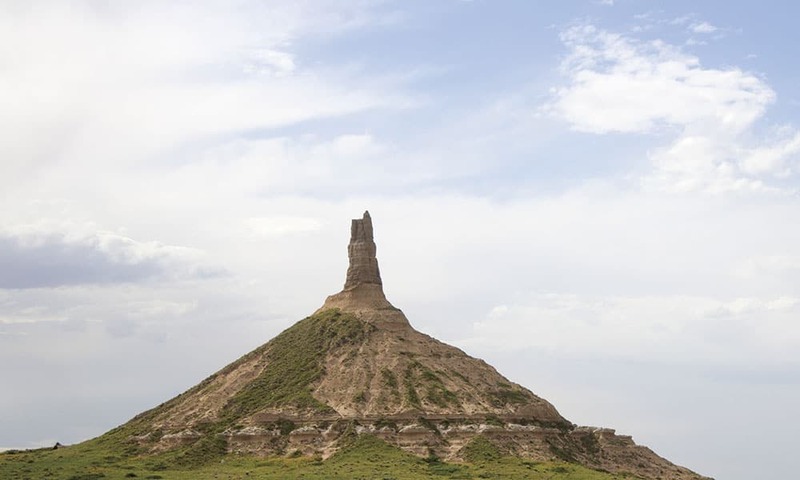 Western Nebraska’s diversity embraces Western history, expansive grasslands, and rugged badlands. 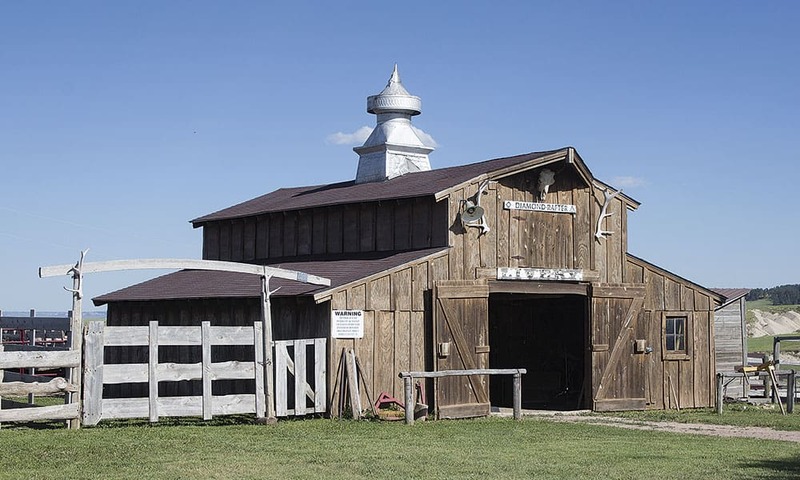 Old West history and character abound in the preserved Nebraska homesteads, barns, and unique natural scenery. Soon after checking in at the Monument Inn & Suites in Gering, Nebraska, the phone rings. “Ma’am, if you hear sirens, we are going to have to evacuate you; a tornado has just touched down nearby.” Moments later, the sirens wail! So my Nebraskan adventure begins with an impromptu detour to an underground shelter at the Gering Court House, where I await the storm’s passage and work up a prodigious appetite. The Tangled Tumbleweed in Scottsbluff, just across the North Platte River from Gering, fills the bill. Restaurateurs Netta Green and Tascha Koncaba have converted an old gas station into a charming dining space, where I enjoy their signature Tumbleweed Bread, succulent lobster ravioli, and a Brussels sprouts skillet. 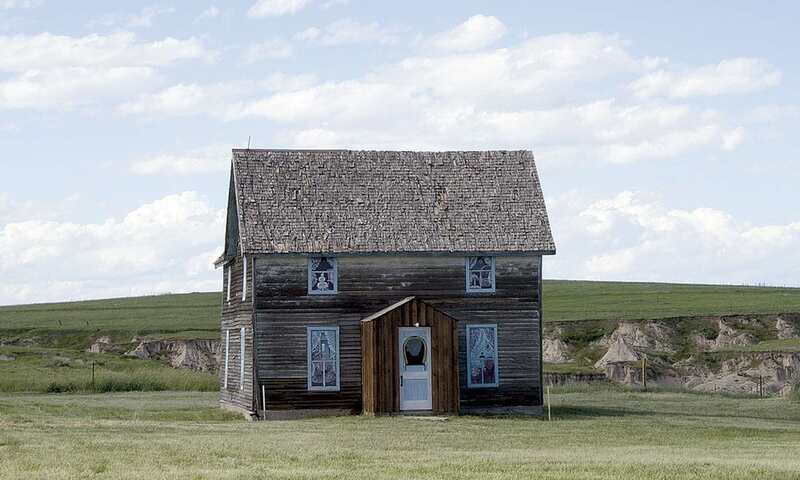 In the morning, I explore Barn Anew, a remote bed and breakfast just a short drive from Gering. Barn Anew owners Cher and Allen Maybee, who taught on the Wind River Reservation, have decorated the interior of Barn Anew with treasured gifts from the Arapaho tribe. On the grounds, restored 100-year-old sheep wagons serve as overnight accommodations. I take in sweeping vistas of Mitchell Pass and Robidoux Pass, both significant points on the Oregon Trail. 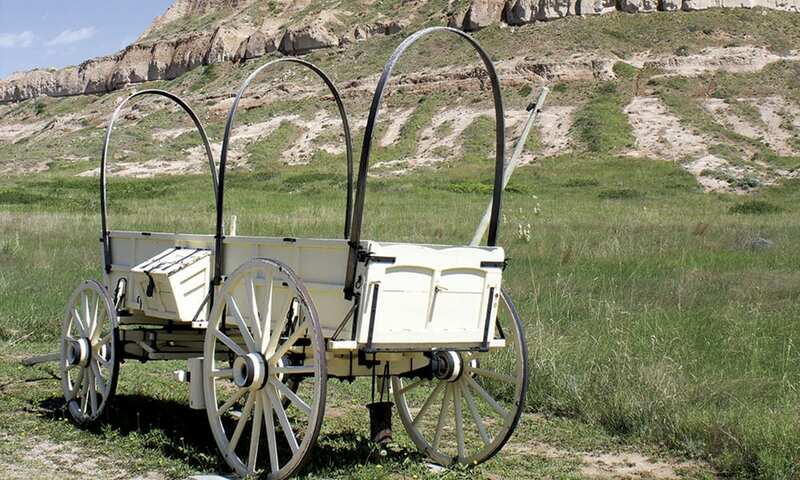 More Oregon Trail history awaits me at Scotts Bluff National Monument, a distinct landmark for early travelers, where I walk paths where the pioneers’ wagon ruts are still visible. The following day, I head north to Fort Robinson State Park in Crawford. 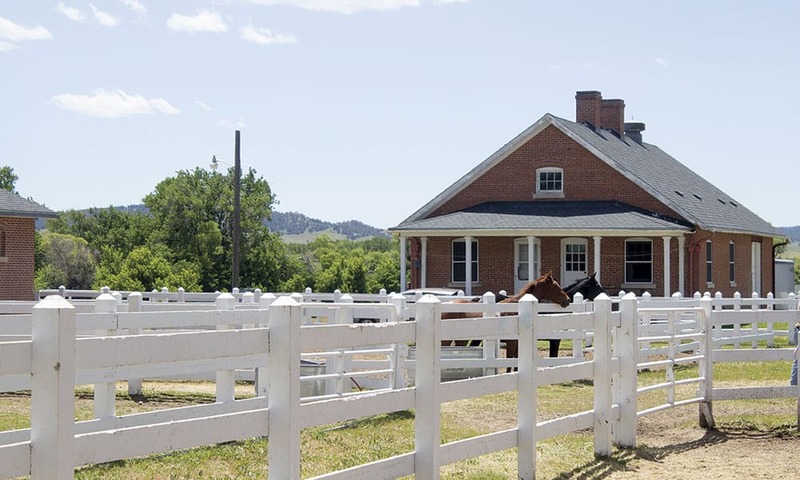 From 1874 to 1948, Fort Robinson was an active military post, and earned the nickname of the “Country Club Fort” for its soldiers’ proclivity to fox hunt and play polo in off-duty hours. Today, it boasts a trail-ride livery and 60 stalls available for campers who bring their mounts. 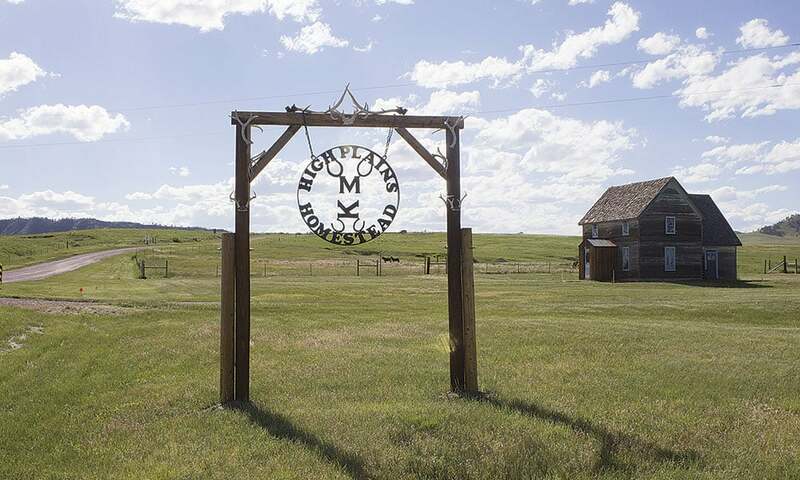 I spot a sign for Crawford’s rustic High Plains Homestead that reads, “Drifters welcome, reservations encouraged”–worth noting, as there are just six rooms available at High Plains. Owners Mike and Linda Kesselring have recreated an Old West settlement on site, offering a glimpse of pioneer life. Not to be missed–even if you don’t spend the night here–is the Drifter Cookshack, where I chow down on savory barbecue. 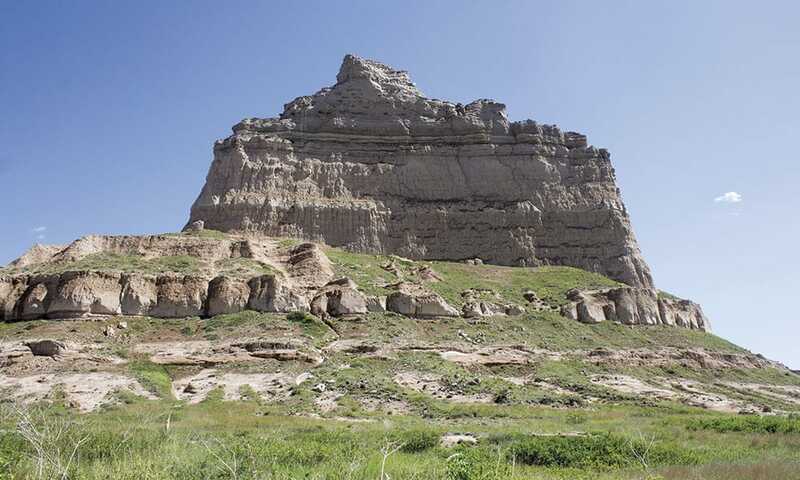 In the nearby Oglala National Grassland Park, I hike along the Bison Trail towards Toadstool Park. I marvel at its many toadstool-like formations, sculpted over time by wind and rain on deposits of clay, ash, and sandstone. The landscape transforms before my eyes as I hike down the ravines into the park to the Hudson-Meng Education and Research Center. This archaeological site contains the remains of 600-plus bison believed to have been killed by Paleo Indian hunters 10,000 years ago. I drive through the Nebraska Sandhills, a designated National Natural Landmark encompassing 20,000 square miles of grass-stabilized sand dunes, on to Ogallala. Once in this historic frontier town, I amble down Front Street to the Cowboy Museum, where I admire a pair of Justin cowboy boots labeled, “Made in 1879.” I can only marvel at what adventures these boots had been on, as I reflect on my own grand adventure of the past few days.